UNDER CONSTRUCTION. 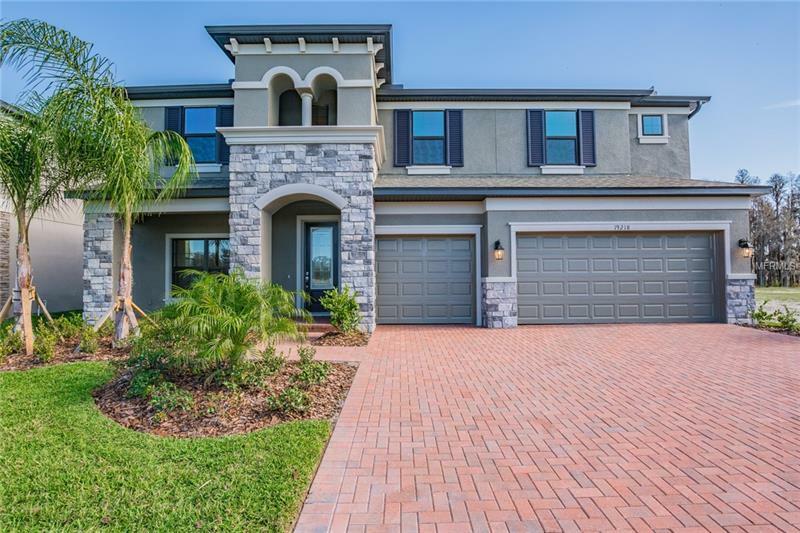 Located within K-Bar Ranch, Briarbrook is a gated, private and beautiful community known as “a masterpiece community in the heart of New Tampa, ” and featuring single-family homes that are specifically designed with you and your loved ones in mind. A charming covered porch welcomes you as you approach the entrance to this grand two story home. Once inside, a formal, open dining room awaits with convenient access to the kitchen. As you continue through the foyer, however, you will pass a spacious walk-in closet for all of your storage needs, as well as an out-of-the-way hall that leads to the powder bath, laundry room and 3-car garage. Just past the stairs, you will find the kitchen and eat-in cafe that seamlessly connect to the family room, creating a central living space for family gatherings. The kitchen boasts an oversized island, abundant cabinet space, and a large walk-in pantry. Adjacent to the main living area is the master suite. Double sinks, a private commode area, and a generous walk-in closet make up your master bath, your personal retreat for unwinding and relaxing. On the second floor, the stairs split to provide easy access to the two sides of this upstairs space. On one side, you will find an open game room and separate media room. On the other side of the stairs are three bedrooms, all with convenient walk-in closets. We invite you to come explore what could ultimately be your dream home. Contact us today to schedule a tour!